Powder aplenty: shredding at Revelstoke, BC (photo: Ian Houghton). 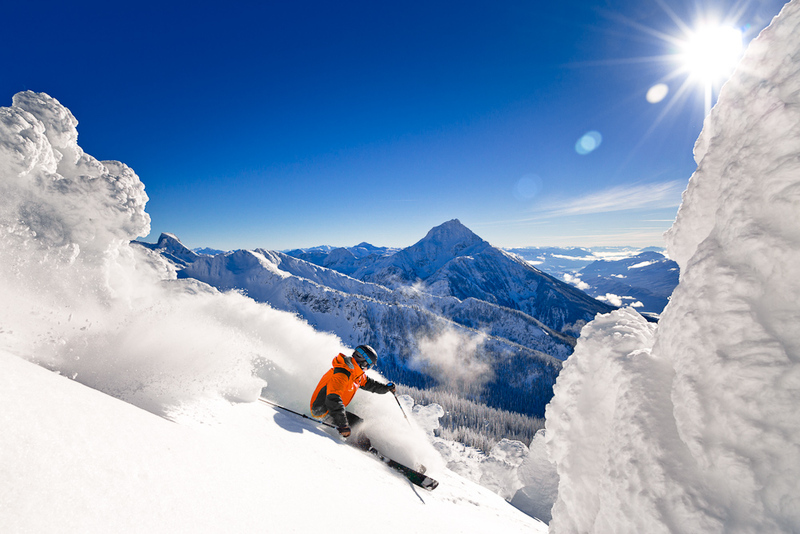 Seeking ski thrills at Kicking Horse, BC (photo: Tobin Seagel). 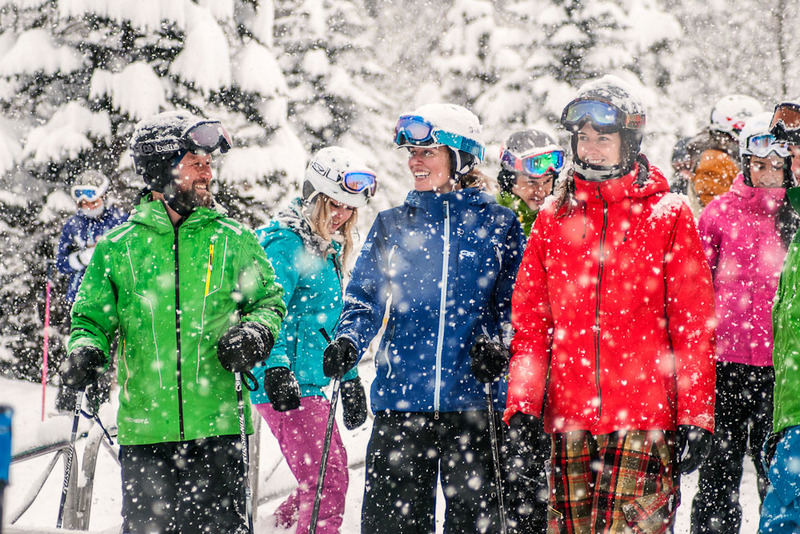 Ski's off: Apres time on BC's Powder Highway. A Powder Highway surprise packet: Red Mountain, BC. There’s much more to the incredibly scenic Powder Highway loop than world-class skiing and snowboarding. 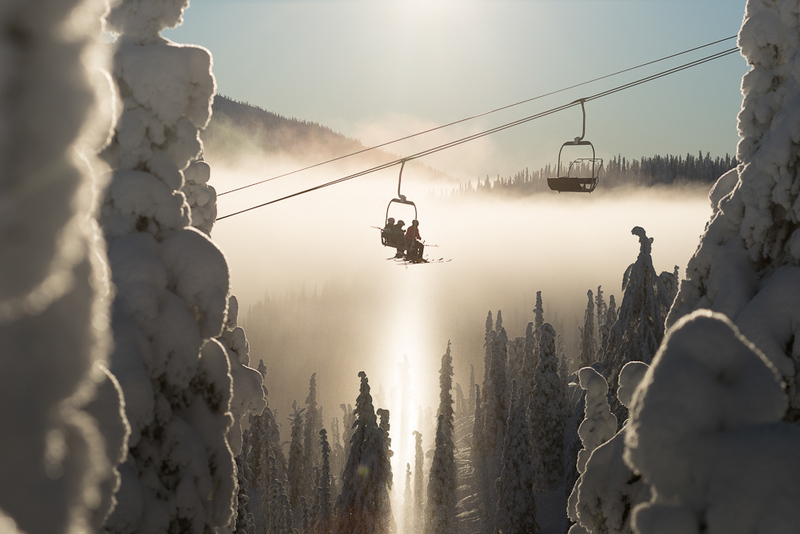 From lively and welcoming mountain towns to the seven alpine resorts lining the 1,090-kilometre route, the Powder Highway, located in the southeast corner of British Columbia, takes adventure, dining, nightlife and family fun to lofty new levels. No backcountry skiing experience? No problem: Several Powder Highway resorts offer a satisfying taste of off-piste excitement within their secure boundaries. 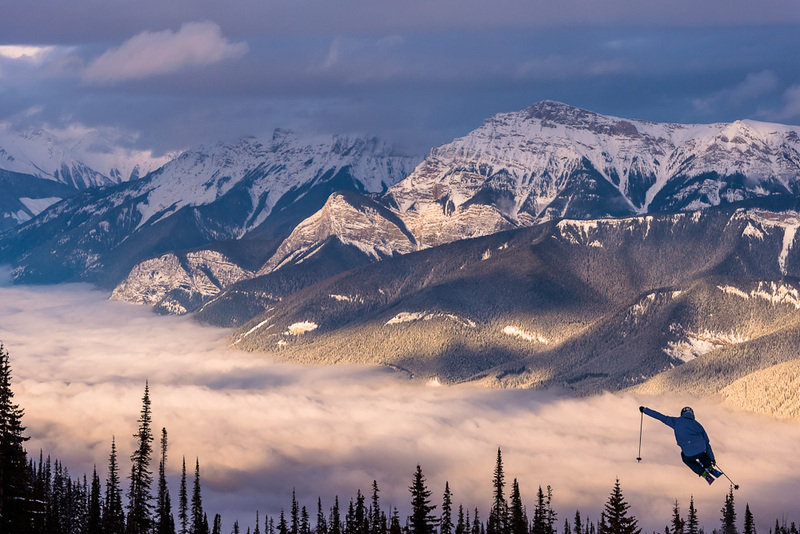 At Kicking Horse, for instance, hike-accessed chutes spill down the south ridge of 2,380-metre Terminator Peak, with ropes and ladders provided when the going gets steep. Then there’s Panorama’s Taynton Bowl, which serves up 280-plus hectares of former heli-ski terrain that’s now just a chairlift ride away. For a day of fast laps with friends straight from the chairlift, head to locals’ favourite Separate Reality run at powder playground Revelstoke. The ‘Kootenay Fondue Experience’ at Kimberley Alpine Resort is sure to serve up a memorable family meal. After an evening chairlift ride to the summit of Northstar Mountain, diners don headlamps for a snowshoe tour through the forest to the rustic Kootenay Haus cabin, where sumptuous chocolate fondue awaits. 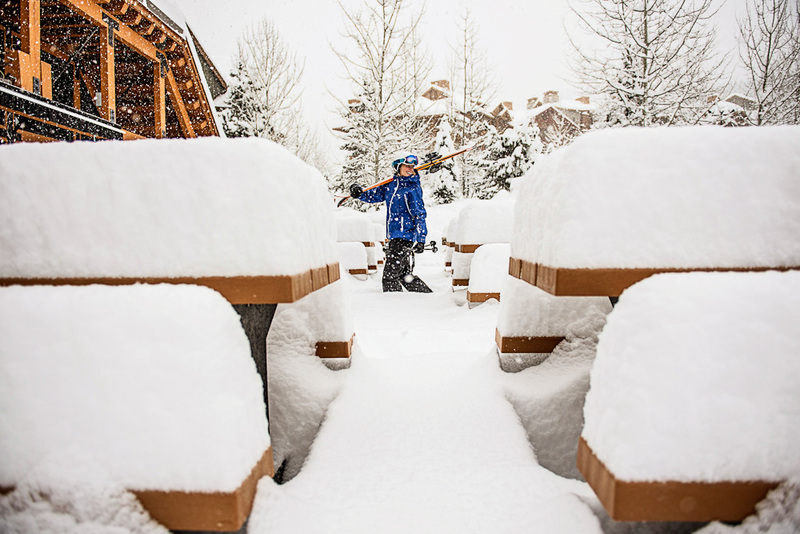 Catching snowflakes on your tongue while soaking in an outdoor hot pool is similarly enchanting, and the Powder Highway is blessed with several choices in this regard, including the likes of Panorama’s 150 square-metre pool complex, the largest of its kind in Canada. Canada’s loftiest restaurant, the Eagle’s Eye, gives new meaning to haute cuisine. Nestled atop Kicking Horse’s CPR Ridge — 2,350 metres up — the gourmet eatery pairs locally-sourced fare and award-winning BC wines with stunning views of five national parks. Then, after dinner, the Golden Eagle Express gondola whisks guests back to the resort village below. Some 480 clicks south along the Powder Highway, Whitewater offers its own unique pairing: The highest base elevation of any ski resort in Canada, and the wholesome, delicious fare made famous by the internationally bestselling Whitewater Cooks series of cookbooks. One bite of the vegan Glory Bowl — a towering plate of deliciously dressed baby spinach leaves, tofu, brown rice, toasted almonds and grated beets and carrots — and you’ll know what all the fuss is about. With boot-stomping live music, an enormous outdoor terrace and gravity-defying nacho plates, it’s no wonder the Griz Bar at the base of Fernie Alpine Resort has become legendary among snow-seekers. Try the ‘Mogul Smoker,’ a sublime blend of Appleton’s Estate VX rum, Kahlua, coffee and hot chocolate topped with whipped cream. For a truly historic good time, head to Rafters at Red Mountain Resort. The former compressor building for the Black Bear gold mine pours a range of local microbrews, including the evocatively named Faceplant Winter Ale. Trade your skis for skates at the Lake Windermere Whiteway, which connects the charming mountain towns of Invermere and Windermere by crossing its namesake lake. You’ll find rustic warming huts along the 34-kilometre route — the longest of its kind on Earth — as well as groomed tracks for classic- and skate-style cross-country skiing. You can try your hand (feet) at showshoeing at most of the Powder Highway resorts and many, including Revelstoke, give you the chance to give dog sledding a try too. Up the pace at Panorama and Revelstoke with a cross-country snowmobile tour. For something more artistic (and less athletic), head to Sapphire Bead & Flameworks in Panorama’s resort village, where art classes include bead and jewellery making over an open flame. However you choose to spend your Powder Highway holiday, you can salute your excellent judgement with a pint at one of several craft breweries. There’s Arrowhead Brewing in Invermere and Mt. Begbie Brewing in Revelstoke, for instance, with the hotly anticipated Whitetooth Brewing slated to open in Golden this winter. So much to cover, so few words!